Today, Fstoppers was at the DJI Event in NYC where they announced the Mavic Air. After learning about this drone and seeing examples of photo and video it had produced, I knew that I had to get my hands on one of them to try out. 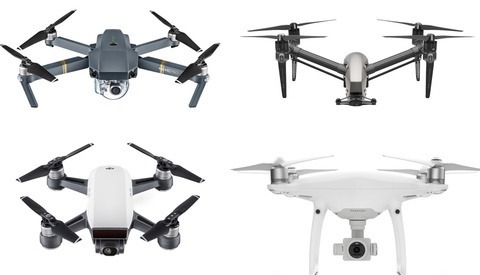 As a current owner of a Mavic Pro, there is no doubt that I questioned whether or not I should get one of these drones. So I went and flew them around a bit and got a little taste of what's to come. The controller was also felt better than I thought and more well built than previous controllers from DJI. 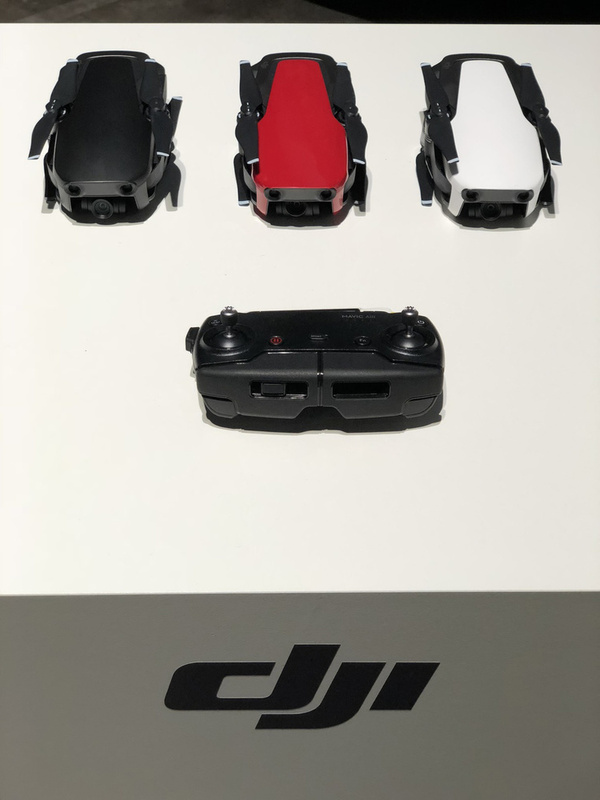 It is more like the Spark's controller; it does not have a screen on it, but it gets hooked up directly to your phone just like the Mavic Pro. The coolest feature about the remote is that the joysticks can be removed and stored in the controller. Whenever you want to spark up a conversation about portability, don't hesitate to bring up this sleek new controller! Overall, I was more impressed with the size of the actual drone itself. I expected it to be bigger like the Mavic Pro, yet somehow it is pretty much the same size as the Spark. When I went to hold it, the entire drone folded up fit in my hand pretty easily, and when the legs were extended, it really wasn't too much bigger. Even with the prop guards on, this drone was a very reasonable size and had me thinking about all the endless opportunities it could have when it comes to flying indoors and out. 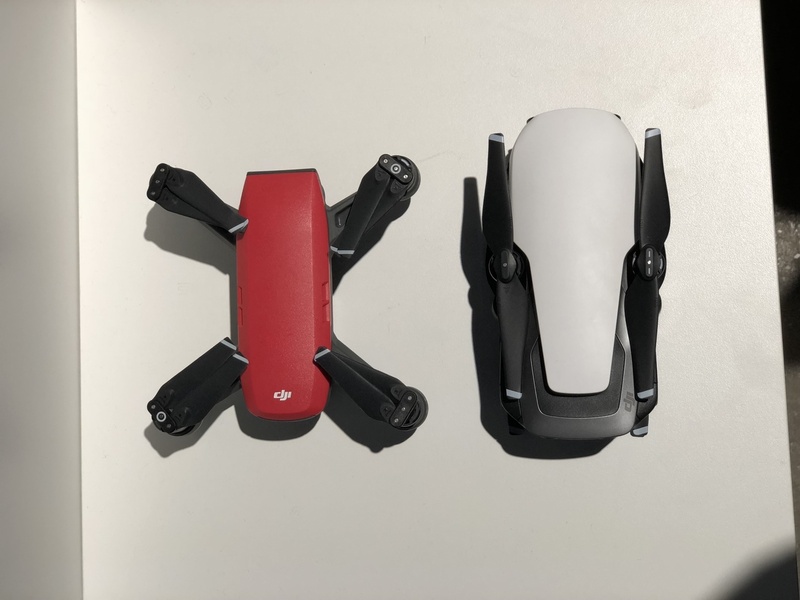 If you need a size comparison aside from what I described above, the drone is literally the size of a phone when folded up. I'm not the type of guy to ever use these intelligent flight modes, but I do understand why they are so popular. After messing with them today, I was really impressed with how well they worked and can say that I would probably use them occasionally. Trying the new smart gesture where you can control the drone with hand movements had me feeling like I had some wild super powers. It was neat to see that you could launch the drone by just raising your hand and move it side to side by swaying your hand, and what was even cooler was that you could move the drone forwards or backwards by raising your other arm and spreading them apart or bringing them together. On top of those simple gestures, you still have the option to take both photos and video by just using simple hand gestures. The one feature I was most impressed with was the Advanced Pilot Assistance System or APAS. 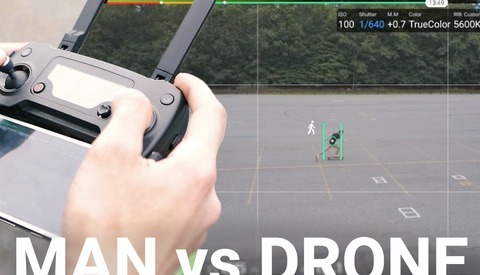 This is essentially the same thing as obstacle avoidance, only the drone is able to scan the area and fly around the obstacles in its path. If there are trees in front of the drone, it will do its best to make very minor adjustments so that it does not stop in front of the object to avoid collision, but it creates its own path to fly around the object while avoiding collision. When I was first watching this live demo, I noticed that the drone appeared to be twitching hard right or hard left initially to avoid the object. I was curious to know if that mean the video would be twitchy too, but it was actually very stable throughout the whole flight. An impressive feature for sure, but is this something that I would use? Probably not too much. 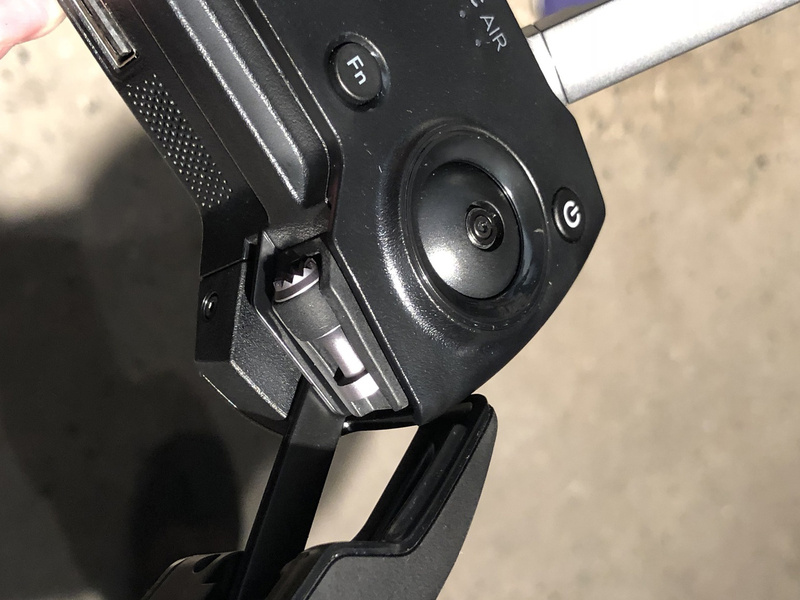 My biggest problem with these modes and the sensors being on is that the drone usually has more abrupt movements and its first safety feature is to stop at a certain point. After flying for a few years and working with these drones almost on a daily basis, I am used to having full control over them, and when obstacle avoidance stops my shot when everything is going perfectly because it thinks I'm going to fly into something, it kind of bums me out. However, I could see myself using this new mode in a variety of situations if need ever needed to be. This is a very advanced feature for sure and you should be able to see it better below. For the consumers or people who aren't interested in learning how to fly right away, these features really allow you to fly like a pro without having to do much. 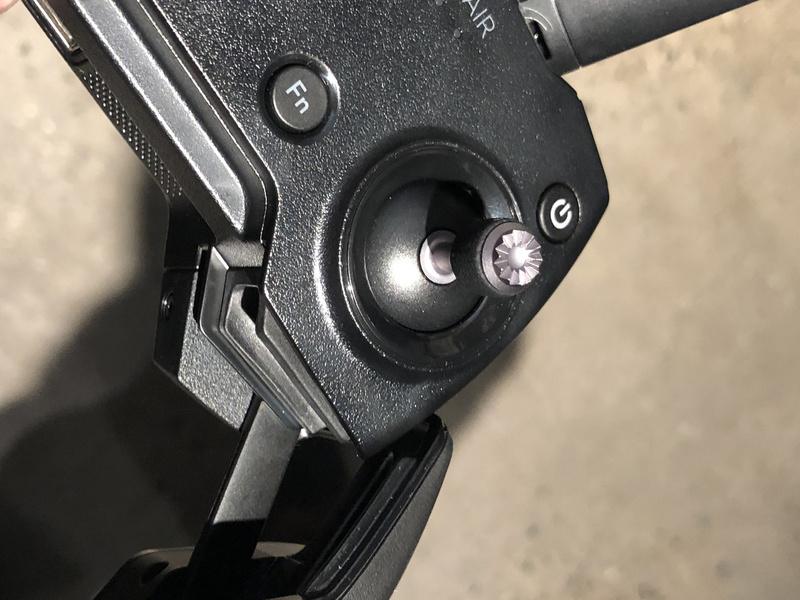 I think that DJI targets this market for a good reason, but these little things are also aimed for professionals who don't want to carry around huge gear all the time. The difference between me carrying around my Inspire 2 versus my Mavic Pro is night and day. With this new Mavic Air, traveling with a drone will be easier than ever, especially when it is packing all the technology it has. I know I wrote a conclusion in my article before, but I wanted to share a bit more about this drone with you here. Unfortunately, I only had the chance to test out a few of the new features (the ones I just wrote about above). I did get to fly for a little while as well and have to say that I was beyond impressed with how this drone stood up in a darker indoor setting. It was probably the most stable drone I have ever seen, and it was able to hover less than an inch off the ground, which goes to show how well all those sensors are working. If it flies that well inside, I can only imagine how well it flies with GPS outside. 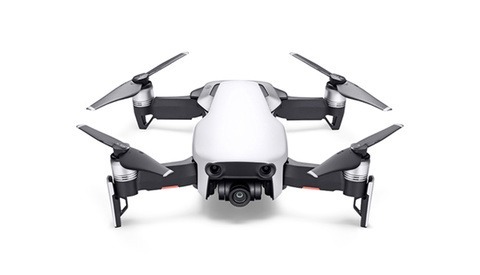 After being a part of this event today and testing out this drone, I think it may be time for me to switch over to the Mavic Air just to have a smaller, steadier, and better quality drone. When I say better quality, I mean that the 4K video being bumped from 60 Mbps to 100 Mbps is going to be playing a really big role in my decision. 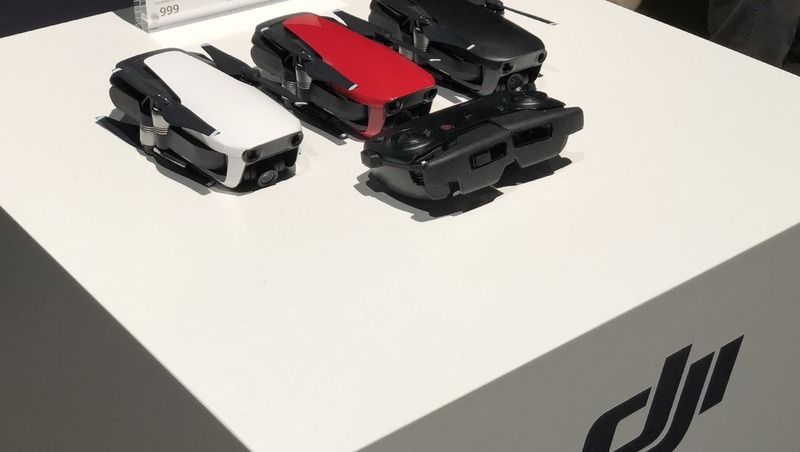 What are your thoughts on the new Mavic Air? Is this the drone for you? The DJI Mavic Air is available to preorder now for $799 at B&H Photo. I wonder if the Spark will be discounted to give this drone some breathing room in their lineup.. I'm already price comparing my P3P on Craigslist.